Usually, when you’re not feeling well, all you want is something warm, fast and simple to eat – and often your first impulse is to reach for soup. Standing in front of the grocery store soup display, you quickly realize there isn’t a worse time to have to work your way through the variety of choices on the shelf than when you’re under the weather. 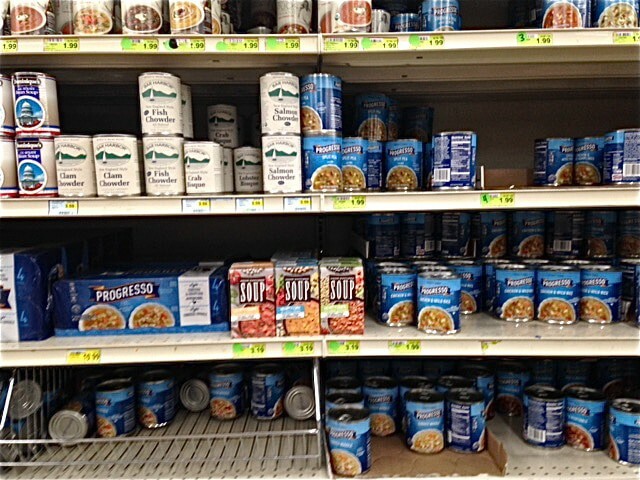 However, that choice became a lot easier when I saw Progresso™ Good Natured Soup, which stood out front and center in the category aisle. In a field of cans, the package structure is a square paper carton. From a packaging design perspective, a key benefit of a carton versus a can approach is that you have a larger, flat surface on which to present your graphic design to the consumer. You don’t have to worry how branding or essential product copy will distort or disappear as it wraps around the rounded sides of the can. Square cartons also have the potential to create a stronger billboard effect when lined up package to package, whereas if cans are turned ever so slightly, they become unsynchronized, resulting in visual chaos, especially when shelves are not fully stocked and products become scattered and intermixed. What works about Good Natured Soup is that the graphic design has a big impact. It is a Progresso product, but the brand has been noticeably reduced in size and position on the top panel of the package. The result? You can’t miss it when you open the carton. This leaves the face panel presenting a larger than average detailed visual representation of the components found in each package of soup. 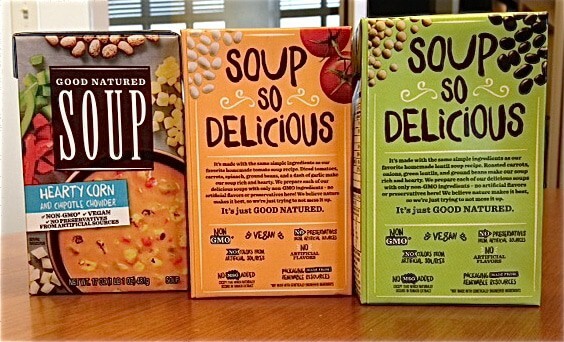 There is secondary color coding and messaging that supports visual imagery in communicating the flavor/style of the soup followed by Non-GMO, Vegan, and No Preservatives – a lot to pack into a small face panel. But because it is so different from the iconic blue and red/white soup cans, the overall design immediately communicates it’s good for you, simple and wholesome …a winning choice for any consumer. Engagement with the consumer continues on the back panel of the package, where the entire space is devoted to the benefits of the product, including a description of the care given to the soup preparation. Nutrition facts and use/recycling instructions are located on the side panels. In my opinion, what they have done effectively is to focus on the essential information that should be in the hands of the consumer, eliminating extraneous information that could detract from the ability of the consumer to grasp what is important about this product. And if the copy fails, the package presents enough visual imagery, that in five seconds the consumer knows exactly what they are selecting. This package just makes so much sense to me both from a structural and a graphic design standpoint; it feels more complete in providing the information the consumer needs to set the brand apart from the competition. 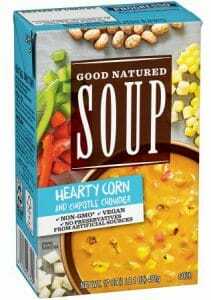 I hope that in the near future we will see many more soup products showing up on shelf in paper cartons. It benefits the manufacturer, the retailer and the consumer – definitely a win-win-win situation. 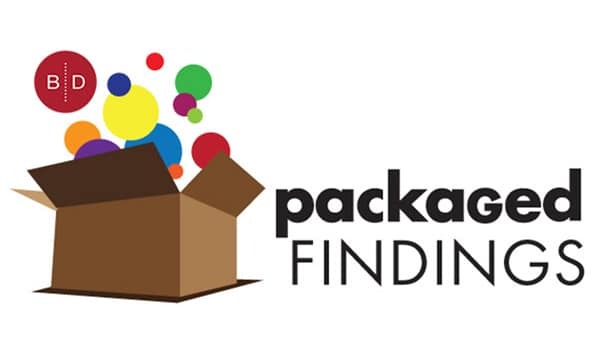 If you are thinking of exploring innovative packaging to renew or refresh your product line, contact us at 920-886-7727 or info@brand-directions.com. Our team knows the best tools, and most effective visuals and messaging to make your brand not only stand out but win in the marketplace.